Pepperfry does not believe in resting on its laurels. 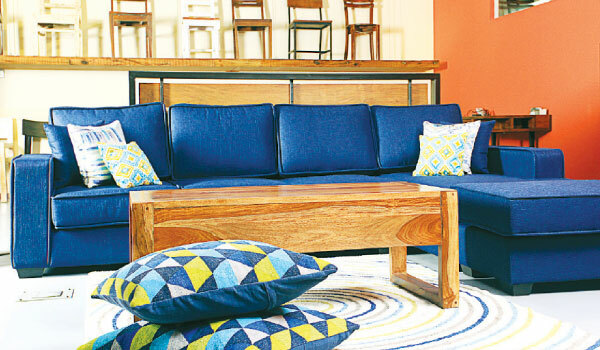 One of Indiaa��s premier online furniture storesa��started by former eBay India executives, Ambareesh Murty and Ashish Shah, in Mumbai three years agoa��it wants to innovate and expand. a�?We have a diverse domain of over 65,000 productsa��from global brands to regional artisansa��on the site, but we want to provide more variety, while encouraging budding designers to take their first steps into the marketplace,” shares Kashyap Vadapalli, chief marketing officer, speaking about their latest venture, Design Democracy, a crowd-sourced furniture design challenge. The three-stage competition, which kicked off on Republic Day, is open to everyone. In the first stage, all the entries will be promoted on Pepperfrya��s Facebook page (facebook.com/Pepperfry), where people can vote by clicking a�?likea��. Next, the most popular designs will be short-listed by a judging panela��consisting of award-winning designers like Kedar Naik and other leading names from the world of art, architecture and interior designa��before the company selects five winners on the basis of the designs’ commercial and technical feasibility. Besides the top three winners getting Pepperfry vouchers for Rs 1 lakh, Rs 75,000 and Rs 50,000 respectively, the winning designs will be retailed on the site and 25 per cent of the net margins made will be shared with the designers. a�?I’m really excited about democratising design. With this competition, we will empower a lot more designers to exercise their creativity and commercialise their work,a�? adds Vadapalli, explaining that the broad themes are kids furniture, space-saving designs and signature pieces inspired by different eras.